This post is sponsored by Paramount Pictures. I’m always up for a party. Oddly enough, I love hosting just as much as I love attending. There’s something about having friends over that just warms my heart. And I’m not just writing that!! I truly mean it. Friends on my turf eating all of my favorite apps, drinking all my favorite selections, and listening to my favorite tunes? What can I say? I’m an only child. It’s sheer perfection. 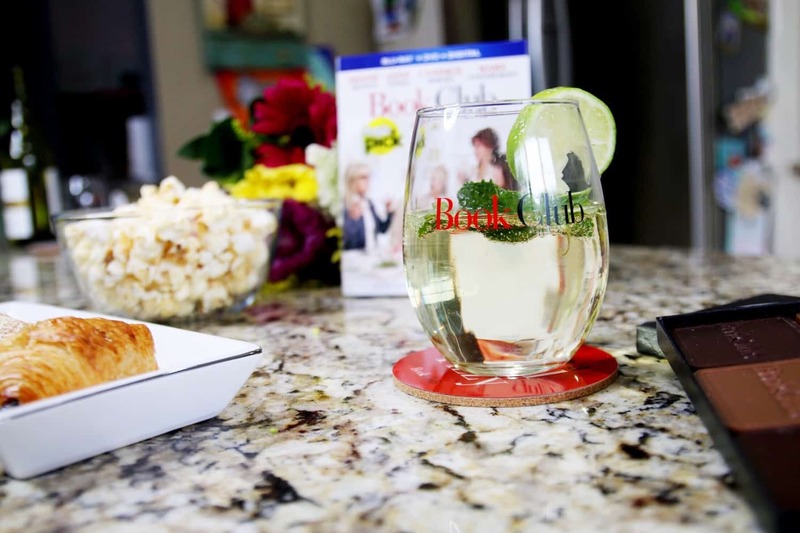 When I heard that Book Club was available for download, I knew that it was the perfect reason to invite a few of my best buds over for a movie night. Download the film on iTunes today and make plans to watch it at home this weekend. The release includes hilarious bonus content, like the making of the film, deleted scenes, and more. 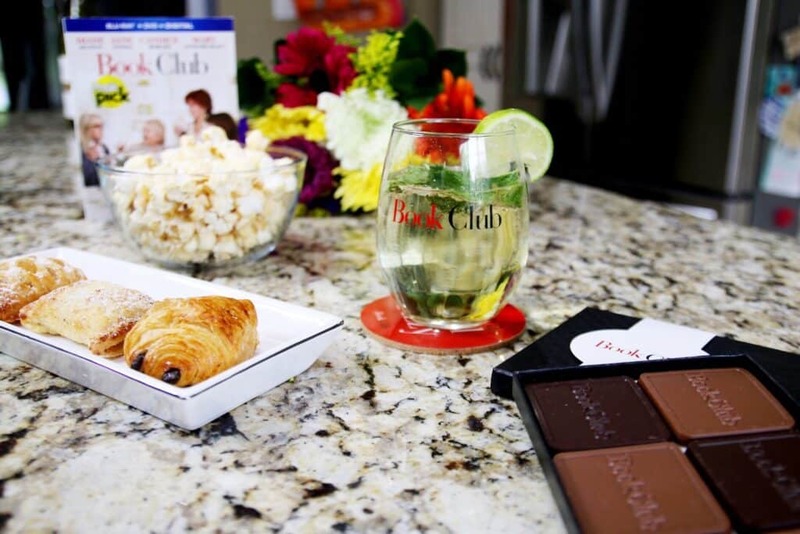 Book Club is all about female friendship – making it the PERFECT movie for a girls’ night in. And have you heard who is in the movie, yet? Diane Keaton, Jane Fonda, Candice Bergen, and Mary Steenburgen. YEOW! Stellar cast. I’m sure we are going to be in for a ton of laughs and heartfelt moments. Diane Keaton is actually one of my favorite actresses. Every movie she does ends up pulling at my heartstrings. 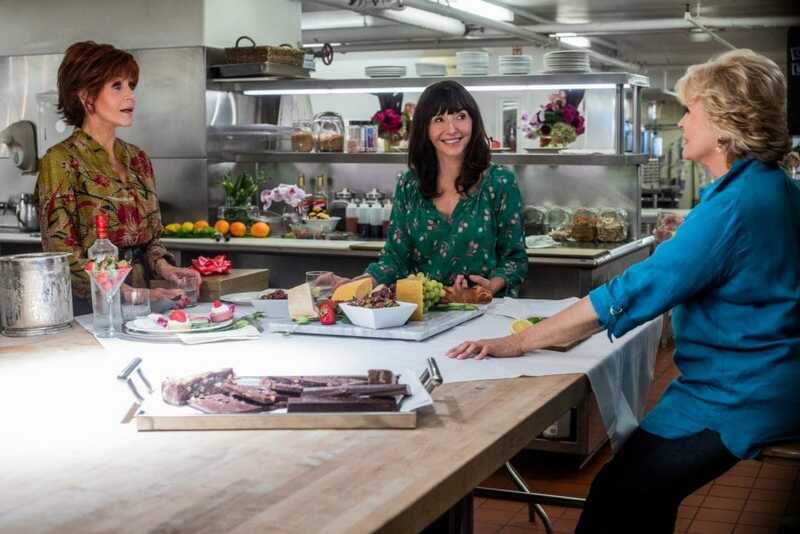 In the film, the women get together to discuss the latest book they’re reading but end up talking about so much more. Isn’t that always the way? Supporting, encouraging, and enjoying each other — as only women know how. We need to spend more time doing this – in REAL LIFE. Not over Facebook. Not through text messages. We actually need to bring the book clubs back for our SOULS. Technology is tricking us into believing we are connected when in actuality we’ve never been so separated as a community. So, please, grab a few girlfriends and make it a night in. You will thank me later. I promise! I love a movie with a good life lesson. It’s never too late to live your life to the fullest and to pursue your goals. Pour yourself a glass of your favorite wine and top it off with some lime seltzer. Add the mint leaves as is. Don’t chop them because I find that it’s easier to drink when they are all together. 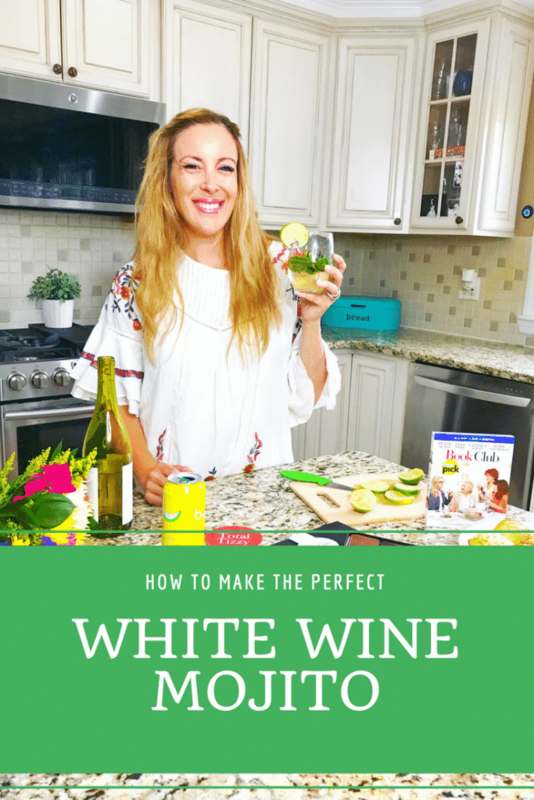 Slice the lime into thin slices and garnish your glass. Add as much lime juice as you’d like. Personally, I like my mojito to be a bit tart. If you are someone who needs to have your mojito sweet, you can add liquid stevia to the drink. I have to warn you though, you only need one tiny drop. Liquid Stevia is very strong. Please do not put more than one tiny drop before tasting. Keep tasting and adding more drops. You cannot undo the sweetness after adding! The next chapter is the best chapter. 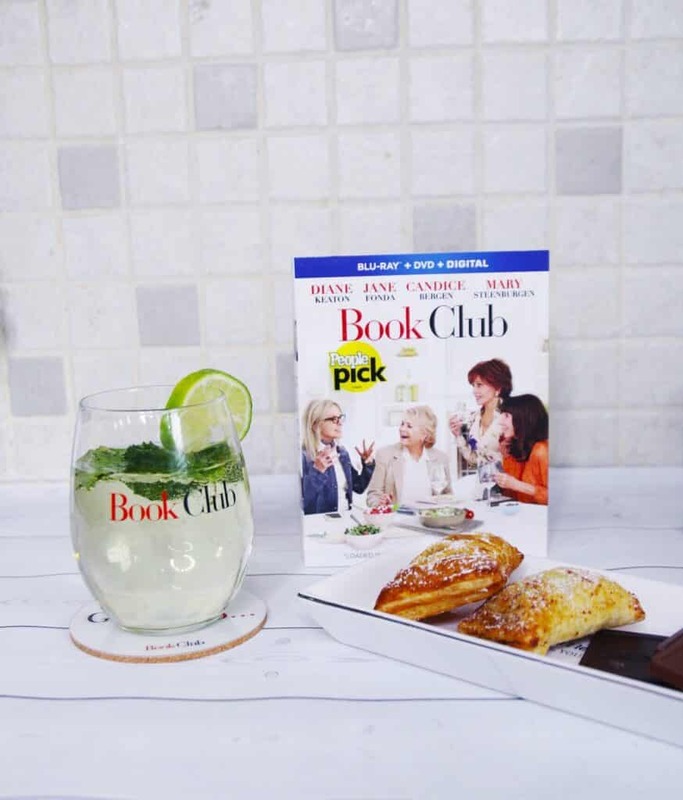 Download Book Club today!